Today I'd like to announce the details of my debut 'blog post album' and also talk about how you can get involved in releasing yours as well as part of my new meme / link up. My definition of a 'blog post album' is a collection of your 12 favourite blog posts you've ever written (if you've written less than this don't worry, I'll give you an idea how you can still get involved later). Imagine you're in a band (I do every day!) and instead of needing to whittle down that selection of 30 songs you've just recorded during that 3 month stint in the studio into an album, you need to instead select blog posts. There are so many great bloggers out there but finding the time to read everyone's archived blog posts is impossible and I reckon there are some 'hidden gems' out there that deserve to be released again - that was my main motivation for doing this. At the end of the year, once everyone has linked up and released their 'blog post albums' I am going to hold a vote for 'Blog Post Album of the Year', where you can pick your favourites, with prizes and even a trophy as a little keepsake for the winner. Then we'll have an awards ceremony where the winner has to read out their blog posts on stage while the rest of us are moshing in the front rows. It will be awesome! Hmmm, maybe we should park the last idea for the time being but let's see how it goes. The main thing about this though is that it is your chance to get your 12 favourite ever blog posts read by people and discover theirs along the way. Oh, and of course your 'blog post album' needs a name and a front cover. I've decided to call mine 'Home is where the Hertford is' in tribute to where we live. The Yellow Fluffy Duck in the picture is the one given to O. by an American Police Officer on our Honeymoon. You can read more about the events that led up to this in Blog Post 3 below. I thought it made sense to kick my debut blog post album off with my first ever blog post as to why I started blogging - and here it is. 'Groovy Conker' was the name of the band that O. invented while we were playing 'musodad's band name game' (see Blog post 4 below for more details). Then, one day, totally unprompted, she wrote me a song. This is the story behind it. This is the story of our Honeymoon and O's reaction to jetlag and long journeys that caused us to have a couple of encounters with two American cops along the way. This is where the yellow fluffy duck on the front cover of the album comes in. Unsurprisingly this is a post all about band names. It ends with a game I invented for O. using magnetic words. As mentioned earlier, this game saw the birth of the band name 'Groovy Conker' which is what O. wants to call her band when she grows up. I am obsessed with why certain music is chosen to be used in TV programmes. This blog post is all about that. This was my first post featured on the @LoveDadBlogs Fatherload. I was so chuffed to find out on that particular Saturday morning that it was in there. Blog post 6 - What is the optimum number of songs to put on a playlist? This is perhaps, no it definitely is, my most geekiest, music anorakiest (is that even a word?) and complicated blog post to date. My wife always reads my blog posts after I've written them (and occasionally has to point out the odd mistake etc). After she read this one, she looked knackered. I think it made her brain hurt. Anyway, in a nutshell, if you've ever wondered why all of my Spotify playlists are (meant to be) 24 songs long - all of the answers are here. This was my blog post tribute to John Peel on the anniversary of his death. I also felt this was the perfect time to announce my 'Yuletide 24' playlist - which was based on John's 'Festive 50' - in tribute to the great man. You can read all about it here. Our first family holiday (as a foursome) was to Majorca in the Summer. This blog post is all about the children's entertainment that was on at our hotel complex. It also contains a lot of references to Black Lace and describes the Worst World Record in the World Ever! (which yours truly holds). This blog post is all about my addiction to X Factor and my prediction for the 2011 series. My predicted winner came third, after originally being voted out in the first week. This proves that I know nothing. Blog post 11 - When did High Street shops start playing such great music? This was my second ever blog post. Even though it is raw it has a special place in my heart as it was on that shopping trip that I thought of the name 'musodad' and decided I was going to become a dad blogger. This was my last blog post release of 2011 and is all about comparing the coolness of Parent Bloggers and Rock Stars using NME's 'Cool list' criteria. 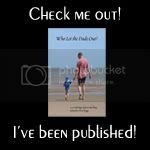 I have images in my head of all of the Parent Bloggers I have 'met' on Twitter over the past few months shooting a Band Aid type video one day and, at the end of it, all of us are singing '9-1 to the Parent Blogs'. Will it ever become reality? Most probably, yes! Well, that's it. If you haven't read any of the above before, I hope you enjoy them. 1) Choose 12 of your favourite blog posts and set them out with sleevenotes and links as above. The blog posts don't have to be from last year, they can be from the archives - it's up to you. If you are a relatively new blogger, and don't have 12 blog posts, don't worry, you can release a 'mini album' if you like. If you've been doing this for years, and can't limit yourself to 12, don't worry, you can release a 'double album' if you like. I wouldn't, however, recommend you posting a '5 blog post album box set' as it is very unlikely it will all get read but if you want to do it then please go ahead. 2) Choose a name for your 'blog post album' and a front cover and again set it out like I have. 3) Link it up at the bottom of this blog post. This linky will be open until 31st December 2012 so no rush. After that everyone can start voting for their favourites. 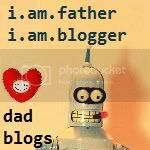 4) Add the following link back to this page - Blog Post Album of the Year 2012 - somewhere within your blog post so that people can link up easily. If your 'blog post album' isn't linked up then it won't be able to be entered into the vote for 'blog post album of the year' as I might not know about it. Once it's linked up, each month I will Tweet about the 'blog post albums' that have been posted the previous month and direct people to them. So there you have it. In true meme stylee though, I've chosen 7 bloggers (AKA 'M Club 7') to tag and get the ball rolling / spread the word. Don't worry if the tag doesn't make it to you, it's a link up, anyone can get involved. While I'm away I'll be promoting my album and taking it on tour - linking my blog posts up 'here, there and everywhere'. After that I'm going to head back into the studio to write some new material. I HAVE A YEAR TO DO THIS MEME?? This is the BEST MEME EVER! I can't wait to do my album cover. I am going to get a stylist and groupies and everything. I love this! I will get on to this very soon I promise. I too want groupies and maybe I can finally get a chance to wear my kitten tiara. Turn around, touch the ground, bagsy be Rachel Stevens. This is insane. But kind of brilliant. I shall put it on the long finger of course, but I will be back! Just letting you know I featured you on the Britmums Newbie Tuesday, which I have taken over from Annie. I've also subscribed to email updates so I can keep an eye on posts to feature in the future. Loved your post about O's lyrics! Fab idea! A great way to showcase your favourite posts. Thanks for Linking to blogaholics.